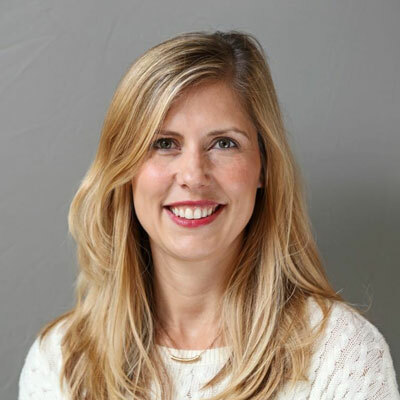 Alysia Vetter is an experienced Marketing Communications professional with a demonstrated history of working in the information technology and services industry. With a background in corporate communications, public relations, marketing services, event strategy, and other key strategic functions to activate new growth, Alysia has over 13 years of IT marketing experience. Before joining The ASCII Group, Alysia was marketing manager at Level Platforms, a remote monitoring and management company. Prior to Level Platforms, she served in other various marketing roles including overseeing marketing and public relations practices for a geospatial software company and handling corporate events for a 911 hardware/software company. At The ASCII Group, we are constantly looking at ways to elevate the role of the solution provider. MSPs are the foundation of our industry and the pivotal role they play in the day to day operations of business and life, are often unrecognized. I work with MSPs and industry publications to highlight their expertise and the crucial role they play in making our industry work. I have contributed to advancing ASCII's channel business by creating new marketing and public relations programs for our members and in turn increasing the exposure of The ASCII Group to the public. By helping profile our members as IT experts within their marketplace, we are committed to showcasing their value to the public. This type of content marketing and exposure is valuable to both the solution provider themselves, as well as to The ASCII Group. In 2018 I will continue to promote and elevate the value of The ASCII Group and its members. I am committed to networking and educating those who are unfamiliar with our community about the benefits of belonging to an industry peer group. I am dedicated to helping our members put their best face forward in terms of promoting themselves to their end users through new marketing initiatives and existing services we offer. I hope to grow our PR offerings and affiliations in 2018 to help our members reach a wider marketplace. A woman I admire within the Channel is my friend Shari Godgart, Co-Founder and VP Business Development at ChannelEyes. Shari has the ability to wear many different business hats and can transition seamlessly from one task to the next. I appreciate her no-nonsense problem solving skills, which she always executes with a positive attitude. I've learned a lot from Shari in terms of the importance of work-life balance and how it is achievable. Go for it! Do your due diligence along the way, but try new opportunities that are presented in front of you. Don't be afraid to ask questions and seek out a mentor that you can go to for advice. Listen to different points of views for they are imperative in moving forward in both your career and your life. I wish I could master the art of going 'paperless'. I still find it beneficial for me to print out documents when reviewing or proofreading. I like to mark up a hard copy with a pencil and then make the edits digitally.I think I'm more tactile than I realize! I really enjoyed the book 'About a Boy' by Nick Hornby. I loved the sweet nature of this coming of age book despite dealing with difficult topics. The characters were very honest with their emotions and they dealt with situations in the book with humor and candor. I also have an affinity for anything that is British!